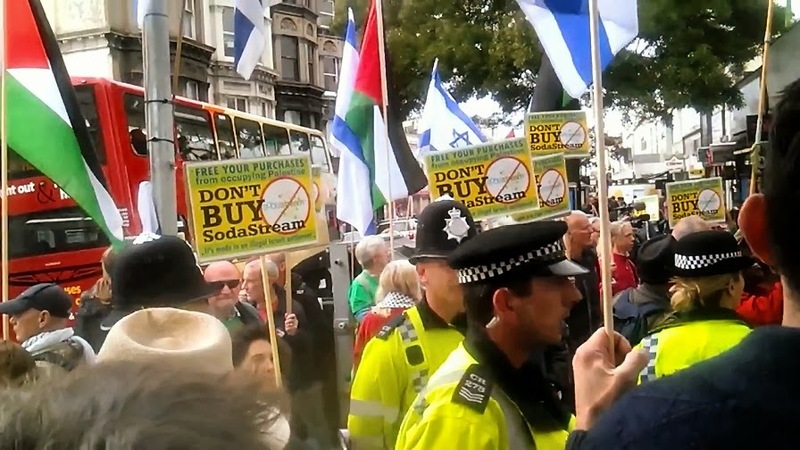 The campaign against Sodastream in Brighton has stirred up both a national and international campaign against this company. Based in West Bank near Maaleh Adumim it employs Palestinian slave labour Slave labour because unions are not allowed and the company is based on the very land its workers used to live on. In Brighton the demonstration started from the Clocktower in the Centre of Brighton at 12.30 and we marched via a shop in Ship Street, then Robert Dyas and Argos to Sodastream itself where the Zionists had based themselves. 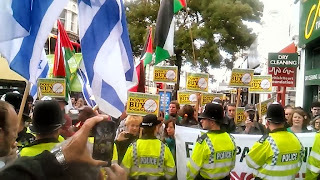 Despite attempts by the Police demonstrators swarmed across Western Road and I found myself in the midst of a group of Zionists who tried to surreptitiously attack me (‘Peace being their slogan’)! On of those who wanted a share of the action was EDL supporter Simon Cobbs who is their leader. 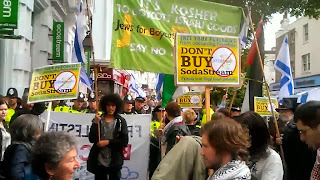 It seems that these days having an association with anti-Semites is a positive advantage if you’re a Zionist. Cobbs who is free with his threats and use of violence pushed me – big mistake as I retaliated and he fell back when realising that bullies needed to be stood up to. The other main group among them were a group of fundamental Christians whose support for Israel is based on the ‘return of the Jews’ to Palestine in order that the second coming of Christ can be hastened via the fires and battles of Armageddon. Most Jews of course, who reject Jesus, will perish and the Elect, in what they call Rapture, will ascend to heaven. Mad? Yes but these are the creatures who butchered over 100,000 ‘heathen’ Mayan Indians in Guatemala and who have encouraged every war of the United States. 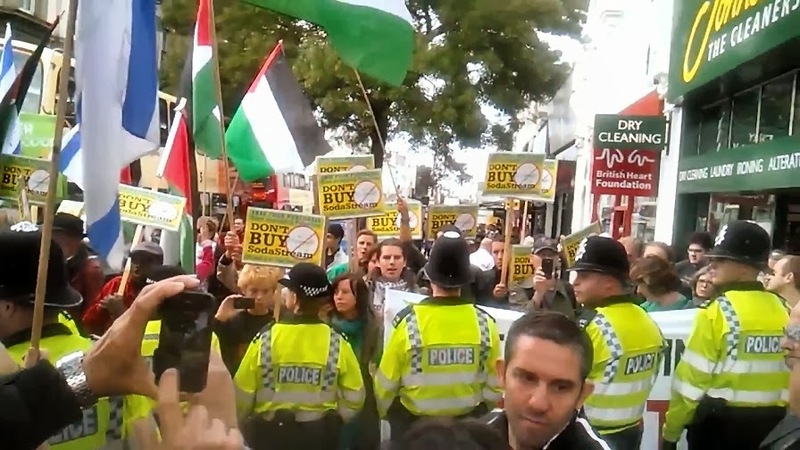 The Zionists had nothing to say and spent their time trying to drown us out. After all it is difficult to defend land theft. They reserved their venom for anti-Zionist Jews whom they termed ‘traitors’ – I’ve never understood this as I’ve never owed Zionism any loyalty but of course this was the charge made by Hitler against anti-fascist Germans. And then one or two whispered Kapos at us, oblivious of the notorious collaboration of the Zionist movement with the Nazi movement both before and after 1933. 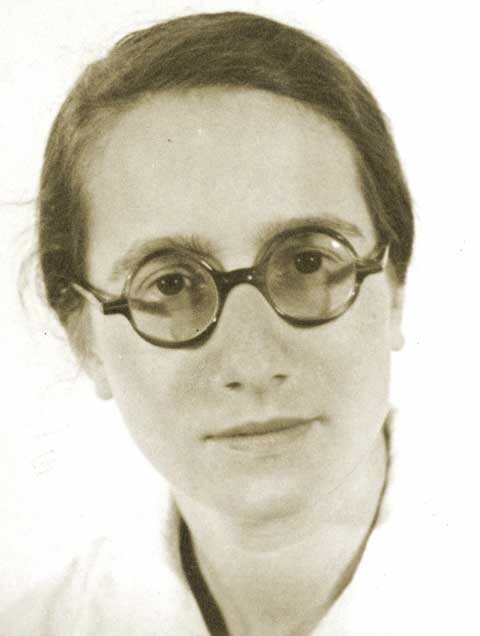 After all they and the Zionists agreed on one thing – the Jews didn’t belong in Germany. Boycott is a weapon of the oppressed. Apart from Capt. Boycott its first use in Britain was the Boycott of Slave Grown Sugar in the Caribbean (the Church of England owned the Codrington plantation in Barbados). In South Africa the Boycott was crucial in the demise of Apartheid. Again Israel opposed it as White South Africa was its best friend and it supplied nuclear technology and other weaponry to it.. The Christian Fundamentalists were equally opposed. After all it was in the Bible Belt of the USA that segregation was based and where the Ku Klux Klan was strongest. And in 1933 there was a massive boycott of Nazi Germany by Jews and the international labour movement. It was held that it was likely to cause the overthrow of Hitler, such was its effect. 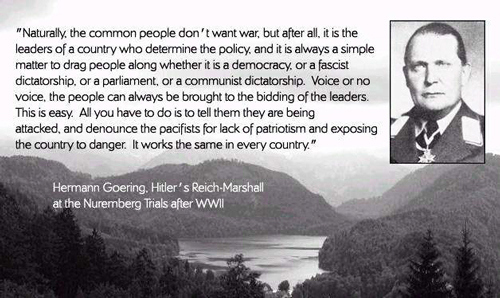 Goering summoned the leadership of the German Jewish community in March 27 1933 to get them to have the boycott called off. 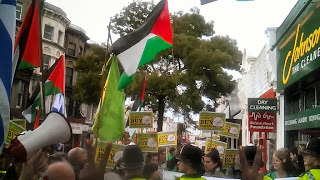 They claimed it was impossible but the Zionists, who had secured an invitation to the meeting after much effort, spoke out. They would destroy the Boycott? 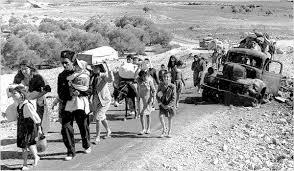 The condition being that a Transfer Agreement was signed between German and Jewish Palestine. It was called Ha'avara (see Edwin Black’s book on Ha’avara for the details). In order to build up Palestine the Zionist leadership deliberately sacrificed the Jews of Europe because people naturally said that if the Jews were trading with Hitler why shouldn’t they? It was difficult to point out that the Zionists represented only themselves (& to be fair many Zionists opposed Ha'avara, especially the right-wing Revisionists). By 1939 60% of the investment in Jewish Palestine was from Nazi Germany! They even spied on the German communist party for them. In other words the real Jewish traitors and ‘kapos’ were the Zionists. Which is why in Poland, which was the heart of European Jewry, in 1938 they rejected the Zionist parties overwhelmingly. In Warsaw out of 20 Jewish seats, 17 went to the anti-Zionist Bund. I am posting a video that the Zionists took so bear that in mind. 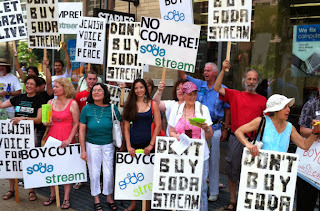 But we distributed 800 leaflets and obtained even more signatories for a petition to close down Ecostream. 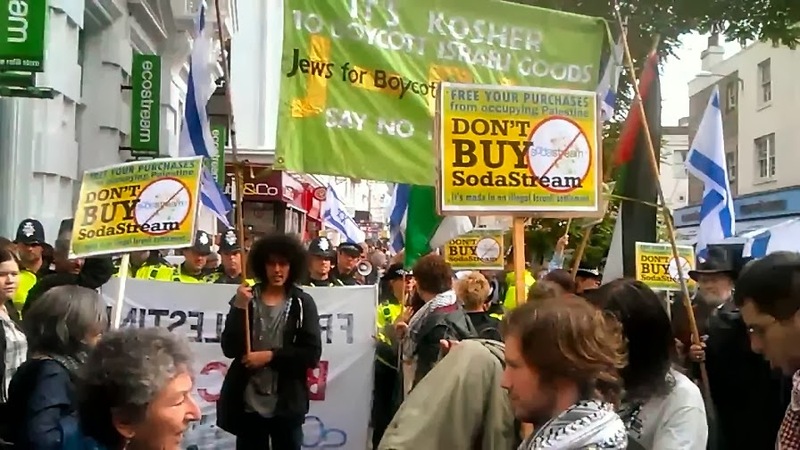 Once again the Police displayed their bias when we were removed across the street but the Zionists ensured that once again Sodastream (neighbouring shops had no customers!). 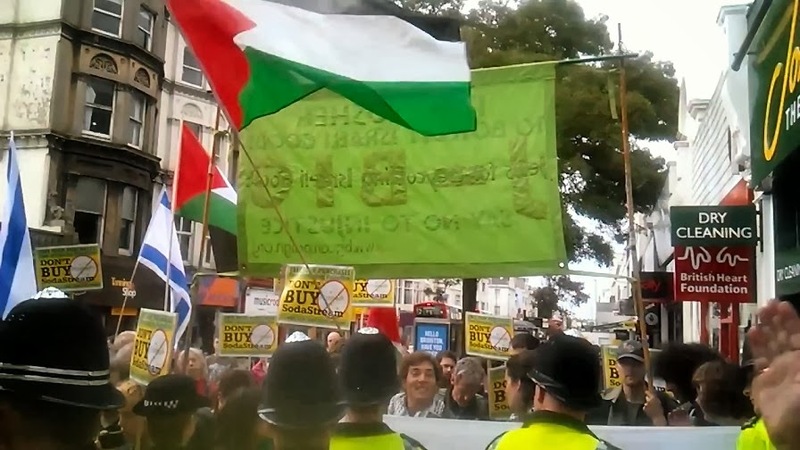 Tonight we saw as good an example as one is likely to get of the BBC's institutionalised Zionist bias. Simon Schama's History of the Jews was a travesty of history. Faction not factual. By his own admission Schama is a Zionist, one of whose central tenets is that anti-Semitism cannot be fought. Schama thus made the facts of the Dreyfus Affair fit into a preconceived mould and botched them all. Schama dwelt at some length on Herzl’s apparent reaction to the conviction and exile of Captain Alfred Dreyfus without even mentioning his exoneration still less the massive campaign in his support led by Emile Zola and his famous article J’Accuse. Schama did mention the leader of the anti-Dreyfusards, Edouard Drumont but ‘forgot’ to mention that Herzl befriended him and went out of his way to seek a favourable review of his pamphlet 'The Jewish State' (Der Judenstaat) in the anti-Semitic newspaper 'La Libre Parole' which Drumont duly praised. Captain Alfred Dreyfuss whose exoneration Schama 'forgot' to mention. 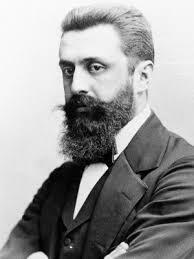 Nor is there the slightest evidence that Herzl was even interested in the Dreyfus Affair nor did he ever write about it. Bernard Lazarre, author of Anti-semitism, its History and Causes, resigned from the first Zionist Actions committee, because of Herzl's attitude to Dreyfus. 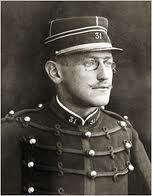 The fact that over 75% of French Jews survived the Nazi occupation was the legacy of the Dreyfus Affair. I wonder whether we will see a history of Palestine written by a Palestinian historian such as Walid Khalidi? Or would that be a breach of BBC neutrality? 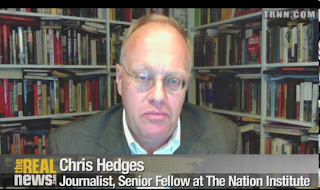 This is a must watch interview with Chris Hedges, for Middle East Correspondent and Bureau Chief for the New York Times and Rania Masri, an environmental and human rights activist and Professor in Lebanon. Below is yet more evidence that Obama and Kerry are lying through their teeth. Congressmen who have seen the classified ‘evidence’ report that it is unconvincing and proves nothing. The US has planned for years to attack Syria and the civil war has now provided an ideal opportunity to reshape the Middle East, alongside their Turkish, Saudi and Israeli allies. 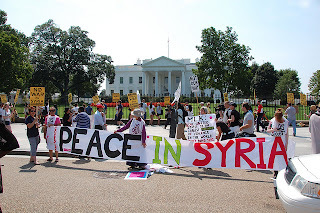 Our leaders are weak, despite their bravado, and we should bombard our elected representatives and make every effort to build another million strong march against any war. It is noticeable that, without exception, all the BBC's coverage is premised on the basis that the Syrian Government was responsible for the horrific chemical attack in Ghouta, Damascus. Preface: Without doubt, intelligence is being manipulated to justify war against Syria. Here, here, here, here and here. An intercept of Syrian military officials discussing the strike was among low-level staff, with no direct evidence tying the attack back to an Assad insider or even a senior Syrian commander, the officials said. So while Secretary of State John Kerry said Monday that links between the attack and the Assad government are “undeniable,” U.S. intelligence officials are not so certain that the suspected chemical attack was carried out on Assad’s orders, or even completely sure it was carried out by government forces, the officials said. Another possibility that officials would hope to rule out: that stocks had fallen out of the government’s control and were deployed by rebels in a callous and calculated attempt to draw the West into the war. With the United States threatening to attack Syria, U.S. and allied intelligence services are still trying to work out who ordered the poison gas attack on rebel-held neighborhoods near Damascus. No direct link to President Bashar al-Assad or his inner circle has been publicly demonstrated, and some U.S. sources say intelligence experts are not sure whether the Syrian leader knew of the attack before it was launched or was only informed about it afterward. Indeed, numerous intelligence officers say that the rebels likely carried out the August 21st attack. The doctored report was picked up on Israel’s Channel 2 TV on Aug. 24, then by Focus magazine in Germany, the Times of Israel and eventually by The Cable. Agents provacateurs are as old as warfare itself. What better than a false flag attack, staged by al Qaeda and its al Nusra front allies in Syria, to drag the United States into a war? Editor Note: Despite the Obama administration’s supposedly “high confidence” regarding Syrian government guilt over the Aug. 21 chemical attack near Damascus, a dozen former U.S. military and intelligence officials are telling President Obama that they are picking up information that undercuts the Official Story. We have been down this road before – with President George W. Bush, to whom we addressed our first VIPS memorandum immediately after Colin Powell’s Feb. 5, 2003 U.N. speech, in which he peddled fraudulent “intelligence” to support attacking Iraq. Then, also, we chose to give President Bush the benefit of the doubt, thinking he was being misled – or, at the least, very poorly advised. Secretary of State John Kerry departs for a Sept. 6 trip to Europe where he plans to meet with officials to discuss the Syrian crisis and other issues. The fraudulent nature of Powell’s speech was a no-brainer. And so, that very afternoon we strongly urged your predecessor to “widen the discussion beyond … the circle of those advisers clearly bent on a war for which we see no compelling reason and from which we believe the unintended consequences are likely to be catastrophic.” We offer you the same advice today. Even the only reputable Israeli Daily Newspaper Ha'aretz has carried an article 'Jihadists, not Assad, apparently behind reported chemical attack in Syria' By Anshel Pfeffer, its Defence Correspondent, on 24.3.13. The mysterious explosion last Tuesday near the city of Aleppo, which killed 26 people and wounded dozens, was swiftly labeled by Western intelligence agencies as a chemical incident perpetrated by forces loyal to Assad. U.S. President Barack Obama was even asked during a press conference in Israel whether the incident would change his administration's non-intervention policy on Syria. But as more information passes, a different picture is beginning to emerge. The explosion claimed the lives of Syrian Armed Forces soldiers who are apparently loyal to Assad, and the Syrian government was quick to demand an international investigation of the incident. These two facts would indicate that Assad's forces were not behind the attack. In addition, from what has been released of the physical and medical evidence, it seems that some of the injuries were caused by chlorine. While chlorine gas has been used in the past as a weapon, mainly in the First World War, the chemical arsenals of nations developing these weapons have for decades focused mainly on mustard gas and various types of nerve agents, which, had they been used last week, would have caused different symptoms that were not observed. It appears that the target of the attack was a checkpoint manned by Syrian Armed Forces, which reinforces the theory that rebel forces, probably jihadists known to be operating around Aleppo, were behind it. A report by Britain's Channel Four, based on Syrian military sources, claims that the weapon used in the attack may have been a missile carrying a warhead filled with chlorine mixed into a saline solution. The Syrian source also said that a factory that manufactures chlorine is located nearby. If these claims are true, it would seem to prove that the jihadists have the technical expertise necessary to insert chlorine gas into a warhead and seal it so that the gas does not leak during launch but only upon impact with the target. Another possibility is that it was a conventional missile that hit a chlorine storage tank, causing leaking gases that resulted in casualties. Not all intelligence experts share the deep concern over a possible use of chemical weapons by Assad's forces. The large stockpiles of chemical substances held by the Syrian regime are closely guarded by the Air Force Intelligence, a branch extremely close to the Assad family, and, despite losing control of wide swathes of Syrian territory, the regime is making extreme efforts to safeguard these assets. 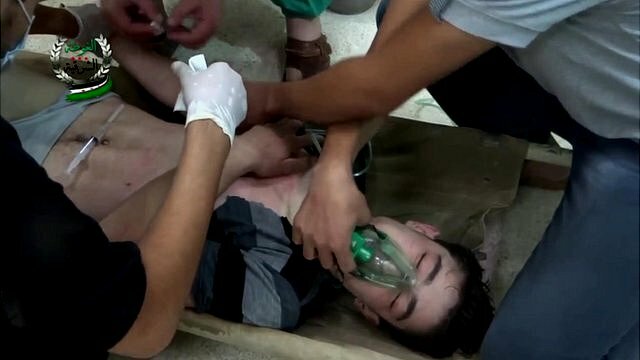 Even though the regime has the capability to launch a chemical attack using artillery shells, warplanes and missiles, they normally store chemical substances separately and it is expected that Western intelligence agencies would identify any attempt by the regime to prepare a large quantity of chemical warheads. In one case, a number of months ago, such a mixing operation was noted and the United States issued stern warnings to the Assad regime to desist. According to a number of reports, American and perhaps also British special forces are willing to enter Syria to secure the chemical weapons stockpiles from bases in Jordan and Turkey should there be any sign that they are about to be captured or used by terror organizations. The Sunni-dominated Free Syrian Army, which has among its ranks senior officers who defected from forces loyal to Assad, has also prepared a plan to take over the chemical bases in the case of the regime's sudden collapse. Of course this blows a gaping hole in the certainty of trigger-happy western leaders. 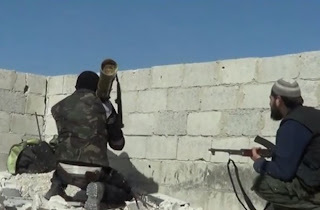 Because they know what the Saudis have supplied the Al Nusri Front, the main rebel group and Al Queda front, with. They also know that this includes both chemical weapons and a means of delivery. There is only one conclusion. Obama wants to bomb Syria and intervene in the conflict there in order to send a message to Iran and Hizbollah. Israel of course is fully behind him. Evidence given by Kerry of murder by chemical. 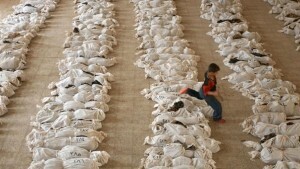 In fact these were civilian victims of US bombing in Iraq! I make no apologies for returning to the question of the justification given for the attack or explosion in the Ghouta suburbs, Damascus. I have already covered in the previous post the strong suggestion by Dale Gavlak of the Michigan Mint Press that the explosion was an accident caused by hamfisted rebels. Below is an article suggestion that far from not having the capability to deliver chemical weapons, the rebels have already been supplied, by the United States via Saudi Arabia, with just such weapons. Just as the horrors of the Vietnam War were justified on the basis of a non-existent incident in the Gulf of Tonkin, and just as Blair & Bush lied about WMD, we are now seeing Kerry, Hollande and Cameron also lie about what is really motivating these humanitarians. Geo-political strategy aimed at the control of the Middle East and the elimination of any independent regimes. What should the reaction of socialists and anti-imperialists be? In my opinion when the Syrian regime under Assad, however brutal and reactionary it is, is under attack by imperialism then it should receive critical support. Likewise the non-fascist element of the rebels, ie. not the Nusi Al Queda group which would engage in a bloodbath of Shi'ites, Alawaites and Christians, should be supported on condition there is a clear break with the fascists. One thing is above all ironical. In no European state or even the USA is there a majority for bombing Syria. Only Israel supports such an action! That shows just how skin deep democracy really is in the heart of the beast. By such means “the way is being paved for military action” against Damascus, the ministry pointed out. But the samples taken at the site of the March 19 attack and analyzed by Russian experts indicate that a projectile carrying the deadly nerve agent sarin was most likely fired at Khan al-Assal by the rebels, the ministry statement suggests, outlining the 100-page report handed over to the UN by Russia. The findings of the report are “extremely specific,” as they mostly consist of scientific and technical data from probes’ analysis, the ministry stressed, adding that this data can “substantially aid” the UN investigation of the incident. While focusing on the Khan al-Assal attack on March 19, in which at least 26 civilians and Syrian army soldiers were killed, and 86 more were injured, the Russian Foreign Ministry also criticized the “flawed selective approach” of certain states in reporting the recent incidents of alleged chemical weapons use in August. The hype around the alleged attack on the eastern Damascus suburb of Ghouta showed “apparent attempts to cast a veil over the incidents of gas poisoning of Syrian army soldiers on August 22, 24 and 25,” the ministry said, adding that all the respective evidence was handed to the UN by Syria. UN Secretary General Ban Ki-moon on Tuesday said the UN investigators are set to return to Syria to investigate several other cases of alleged chemical weapons use, including the March 19 incident in Khan al-Assal. Unlike in Iraq, where the inspectors were investigating a genuine question as to whether the Iraqi regime possessed weapons of mass destruction, the role of the UN investigators in Syria is largely a form of political camouflage for war. If the photographs are to be believed, then over 1,000 civilians in Ghouta suburb of Damascus, died a horrific and agonising death from the use of Sarin and nerve agents. Investigators will be stating the obvious but providing a political camouflage for the war mongers. Incidentally the USA has apparently increased the number of victims by a factor of 5 according to the Gulf Report. US military officers have repeatedly said that the case against Assad is not a ‘slam dunk’, ie. not certain. What they haven’t done is explain why this is the case. It is, equally well known that the West and Israel in particular do not have any principled objections to the use of chemical weapons. 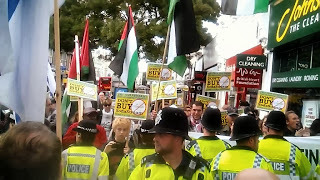 http://www.azvsas.blogspot.co.uk/2013/08/the-lies-our-leaders-tell-in-order-to.html Both Israel and the USA used White Phosphorous against civilians in Gaza and Fallujah and as I showed in the article above, in the case of the war in Iraq the US not only knew about Saddam Hussein’s use of chemical weapons against Iranian troops but provided satellite intelligence in order to ensure their most effective use. So even if it were true that the Assad regime had used chemical weapons, that is the pretext not the reason for any bombing of the Assad regime. However it is not at all certain that the Syrian regime did bomb civilians in Damascus. For a start they had no motive to do so, quite the contrary, since they were winning the war against the Free Syrian Army and the Salafists. September 02, 2013 "Information Clearing House - "FAIR" - Let's compare a couple of accounts of the mass deaths apparently caused by chemical weapons in the Damascus suburb of Ghouta on August 21. One account comes from the U.S. government (8/30/13), introduced by Secretary of State John Kerry. 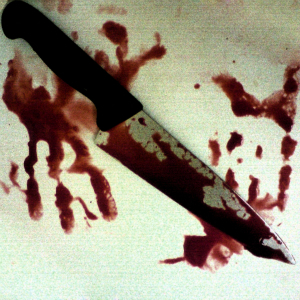 The other was published by a Minnesota-based news site called Mint Press News (8/29/13). The government account expresses "high confidence that the Syrian government carried out a chemical weapons attack" on August 21. The Mint report bore the headline "Syrians in Ghouta Claim Saudi-Supplied Rebels Behind Chemical Attack." Which of these two versions should we find more credible? The U.S. government, of course, has a track record that will incline informed observers to approach its claims with skepticism–particularly when it's making charges about the proscribed weapons of official enemies. Kerry said in his address that "our intelligence community" has been "more than mindful of the Iraq experience"–as should be anyone listening to Kerry's presentation, because the Iraq experience informs us that secretaries of State can express great confidence about matters that they are completely wrong about, and that U.S. intelligence assessments can be based on distortion of evidence and deliberate suppression of contradictory facts. 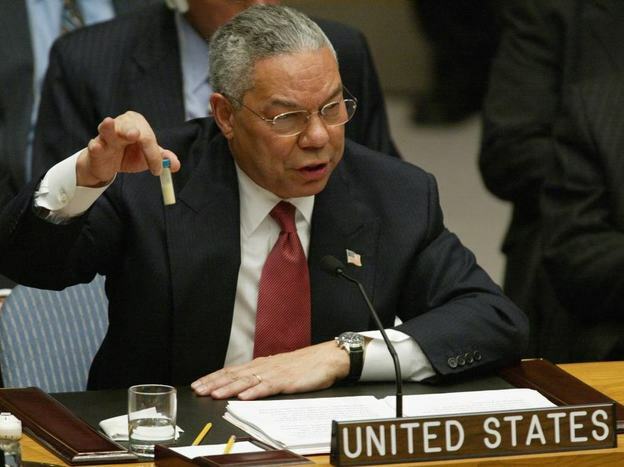 Comparing Kerry's presentation on Syria and its accompanying document to Colin Powell's speech to the UN on Iraq, though, one is struck by how little specific evidence was included in the case for the Syrian government's use of chemical weapons. It gives the strong impression of being pieced together from drone surveillance and NSA intercepts, supplemented by Twitter messages and YouTube videos, rather than from on-the-ground reporting or human intelligence. 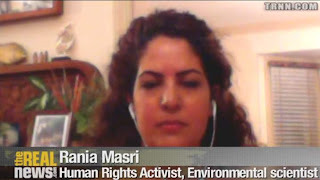 Much of what is offered tries to establish that the victims in Ghouta had been exposed to chemical weapons–a question that indeed had been in some doubt, but had already largely been settled by a report by Doctors Without Borders that reported that thousands of people in the Damascus area had been treated for "neurotoxic symptoms." On the critical question of who might be responsible for such a chemical attack, Kerry's presentation was much more vague and circumstantial. A key point in the government's white paper is "the detection of rocket launches from regime-controlled territory early in the morning, approximately 90 minutes before the first report of a chemical attack appeared in social media." It's unclear why this is supposed to be persuasive. Do rockets take 90 minutes to reach their targets? Does nerve gas escape from rockets 90 minutes after impact, or, once released, take 90 minutes to cause symptoms? In a conflict as conscious of the importance of communication as the Syrian Civil War, do citizen journalists wait an hour and a half before reporting an enormous development–the point at which, as Kerry put it, "all hell broke loose in the social media"? Unless there's some reason to expect this kind of a delay, it's very unclear why we should think there's any connection at all between the allegedly observed rocket launches and the later reports of mass poisoning. When the evidence isn't circumstantial, it's strikingly vague: "We intercepted communications involving a senior official intimately familiar with the offensive who confirmed that chemical weapons were used by the regime on August 21 and was concerned with the UN inspectors obtaining evidence," the report asserts. Taken at face value, it's one of the most damning claims in the government's report–a veritable confession. But how was the identity of this official established? And what exactly did they say that "confirmed" chemical weapons use? Recall that Powell played tapes of Iraqi officials supposedly talking about concealing evidence of banned weapons from inspectors–which turned out to show nothing of the kind. But Powell at least played tapes of the intercepted communication, even as he spun and misrepresented their contents–allowing for the possibility of an independent interpretation of these messages. Perhaps "mindful of the Iraq experience," Kerry allows for no such interpretation. 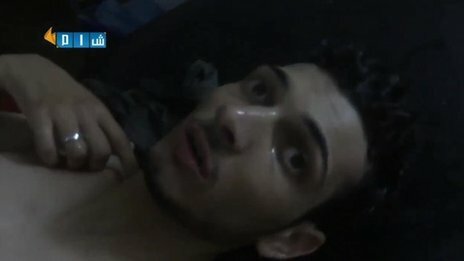 Another key claim is asserted without substantiation: "Syrian chemical weapons personnel were operating in the Damascus suburb of 'Adra from Sunday, August 18 until early in the morning on Wednesday, August 21, near an area that the regime uses to mix chemical weapons, including sarin." How were these personnel identified, and what were the signs of their operations? How was this place identified as an area used to mix sarin? Here again the information provided was far less detailed than what Powell gave to the UN: Powell's presentation included satellite photographs of sites where proscribed weapons were being made, with an explanation of what they revealed to "experts with years and years of experience": "The two arrows indicate the presence of sure signs that the bunkers are storing chemical munitions," he said, pointing to an annotated photograph of bunkers that turned out to be storing no such thing. Powell's presentation graphically demonstrated that US intelligence analysts are fallible, which is part of why presenting bare assertions without any of the raw materials used to derive those conclusions should not be very convincing. Kerry did offer an explanation for why the report was so cursory: "In order to protect sources and methods, some of what we know will only be released to members of Congress, the representatives of the American people. That means that some things we do know, we can't talk about publicly." It is not clear, however, why intelligence methods that produced visual and audible evidence that could be shared with the public 10 years ago cannot be similarly utilized today. It does point to why the $52 billion the United States spends on surveillance annually, according to NSA whistleblower Edward Snowden (Washington Post, 8/29/13), provides relatively little information that's of value to American democracy: The collection of information is considered so much more valuable than the information collected that it rarely if ever can be used to inform a public debate. Instead, as we discuss the dreadful question of whether to launch a military attack on another country, we are offered an undemocratic "trust us" from the most secretive parts of our government–an offer that history warns us to be extremely wary of. Unlike the U.S. government, Mint does not have much of a track record, having been founded only about a year and a half ago (CJR, 3/28/12). The founder of the for-profit startup is Mnar Muhawesh, a 24-year-old Palestinian-American woman who believes, reasonably enough, that "our media has absolutely failed our country" (MinnPost, 1/18/12). One of its two reporters on its Syrian chemical weapons piece, Dale Gavlak, is a longtime Associated Press Mideast stringer who has also done work for NPR and the BBC. AP was one of the few US corporate media outlets to question official assertions about Iraqi WMDs, contrasting Powell's assertions with what could be discerned from on-the-ground reporting (Extra!, 3-4/06). Mint takes a similar approach to the Syrian story, with a reporter in Ghouta–not Gavlak but Yahya Ababneh, a Jordanian freelancer and journalism grad student–who "spoke directly with the rebels, their family members, victims of the chemical weapons attacks and local residents." The article reports that "many believe that certain rebels received chemical weapons via the Saudi intelligence chief, Prince Bandar bin Sultan, and were responsible for carrying out" the chemical attack. 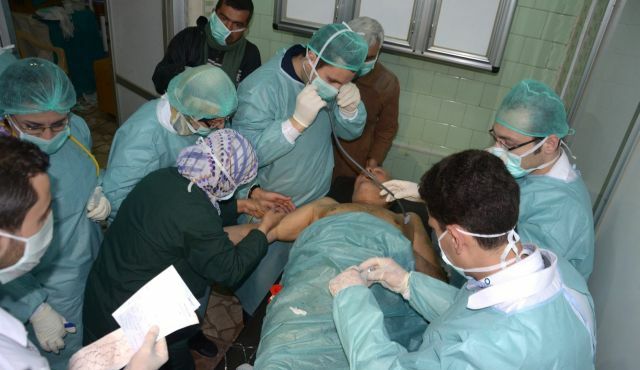 The recipients of the chemical weapons are said to be Jabhat al-Nusra, an Al-Qaeda-linked rebel faction that was caught possessing sarin nerve gas in Turkey, according to Turkish press reports (OE Watch, 7/13). 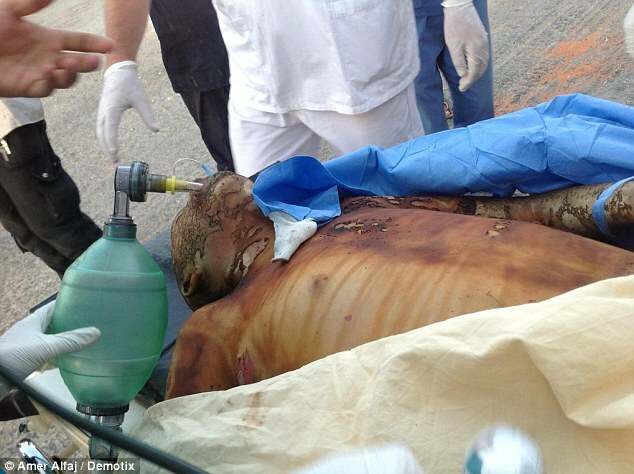 Mint quotes Abu Abdel-Moneim, described as the father of a rebel killed in the chemical weapons attacks, as saying that his son had described carrying unconventional weapons provided by Saudi Arabia to underground storage tunnels–a "tubelike structure" and a "huge gas bottle." A rebel leader identified as J describes the release of toxic weaponry as accidental, saying, "Some of the fighters handled the weapons improperly and set off the explosions." Another rebel referred to as K complains, "When Saudi Prince Bandar gives such weapons to people, he must give them to those who know how to handle and use them." Of course, independent media accounts are not necessarily more credible than official reports–or vice versa. As with the government white paper, there are gaps in the Mint account; while Abdel-Moneim cites his late son's account of carrying chemical weapons, the rebels quoted do not indicate how they came to know what they say they know about the origin of the weapons. But unlike the government, Mint is honest about the limits of its knowledge: "Some information in this article could not be independently verified," the story admits. "Mint Press News will continue to provide further information and updates." This humility about the difficulty of reporting on a covert, invisible attack in the midst of a chaotic civil war actually adds to the credibility of the Mint account. It's those who are most certain about matters of which they clearly lack firsthand knowledge who should make us most skeptical. Whether or not the above article is correct is for others to decide, but it sounds extremely credible. What is not credible are the fake crocodile tears from Obama, Blair, Kerry and co. about chemical weapons when depleted uranium is used on shells as a matter of course. Those who support nuclear weapons and yet allegedly oppose the use of chemical weapons are born again liars and hypocrites.